The Old Town neighborhood saw another mugging this week—at least the 24th robbery of the year for that neighborhood, where hold-ups have increased nearly 300% compared to last year. 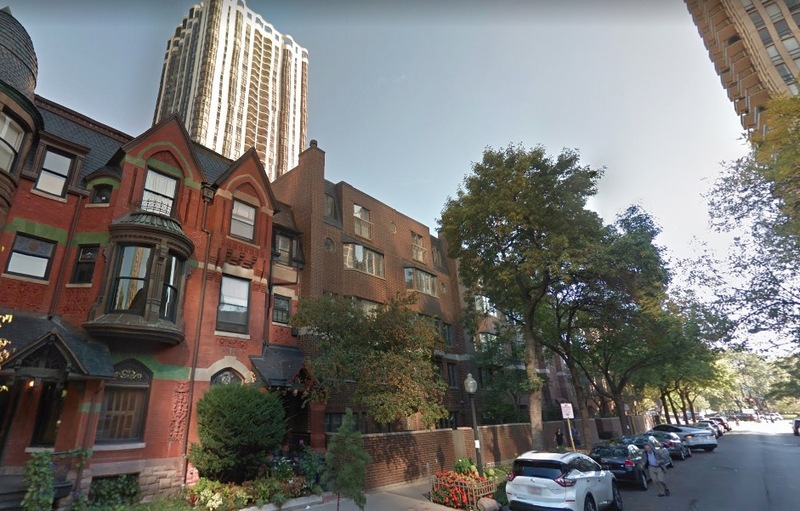 Around 9:45 p.m. on Thursday, a woman was attacked and robbed of her purse in the 100 block of West Eugenie, about a block west of the Clark-LaSalle intersection. A Good Samaritan gave chase to the offender, but he gave up outside of the Chicago History Museum after the offender turned around and said he had a gun. No gun was seen. Police said the offender is male, black, about 19-years-old, 5’9” tall and stocky with a short haircut. He was wearing a gray sweater or hoodie and sweatpants. According to city data, the Old Town neighborhood recorded 23 robberies through March 6 this year. During the same time last year, the area had reported only six cases. Alderman Michele Smith (43), whose ward includes most of Old Town, said earlier this year that the neighborhood’s increase in violent crime was due in part to the fact that juvenile offenders rarely experience meaningful consequences for their actions. On January 25, Smith wrote an email to constituents about the subject: “I have spoken with many of you when crimes occur near your homes or places of work. These conversations prompted me to research and question recent changes to the laws concerning juvenile offenders, sanitizing juvenile criminal records and new protocols for setting bail that seem to favor defendants' rights over public safety." I’ve been analyzing juvenile crime data and want to now share those numbers with you. They prove juveniles are committing repeat offenses at an alarmingly high rate. There were 1200 arrests of juveniles in 2017 for gun-associated offenses, which cover UUW (unlawful use of a weapon), armed robbery, vehicular hi-jacking and other violent offenses (but not murder, which is always treated as an adult offense). The Sun-Times reported on these statistics and quoted me saying, "we are not even giving juveniles a "time-out" for carrying a gun." The Sun-Times also strongly editorialized that "gun crimes cannot be tolerated. Numbers show a large number of juveniles were immediately released even though they were arrested for these violent offenses involving guns. 42% of juveniles arrested for a gun offense were rearrested in the same year, and of those, ½ of the arrests were for gun related or other violent crimes. That means of the 717 juveniles arrested for a gun crime between January 1, 2017 and August 1, 2017, 123 of the re-arrests in the first seven months were for violent crimes and gun cases ranging from battery to unlawful use of a weapon, aggravated hijacking and murder. Statistics are even worse for juveniles involved in car-jackings - the 59 juveniles arrested for vehicular hijacking in 2017, hijacked 63 cars and had 537 total previous arrests. These shocking statistics are played out in our streets every day - in which juveniles, arrested for a violent crime, are released and immediately re-offend. Following this week’s primary elections, Smith tweeted congratulations to Kwame Raoul on his selection as the Democratic candidate for Illinois Attorney General. “Looking forward to your victory in November,” she wrote. Her enthusiasm for the candidate struck us as strange considering that one of Raoul’s top legislative accomplishments was being the chief sponsor of a law that reduced consequences for teens who commit violent crimes. We asked Smith how she squares her statements about juveniles escaping punishment with her enthusiastic support for Raoul. She did not respond. Original reporting for Old Town seen nowhere else. Donate $49 or more to our operating fund and you’ll receive a year’s worth of exclusive reports and services.